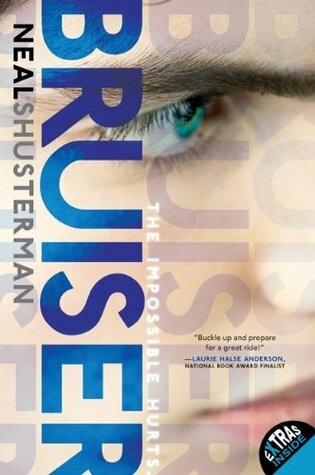 Award-winning author Neal Shusterman has crafted a chilling and unforgettable novel about the power of unconditional friendship, the complex gear workings of a family, and the sacrifices we endure for the people we love. Tennyson: Don’t get me started on the Bruiser. He was voted ‘Most Likely to Get the Death Penalty’ by the entire school. He’s the kid no one knows, no one talks to, and everyone hears disturbing rumors about. So why is my sister, Brontë, dating him? One of these days she’s going to take in the wrong stray dog, and it’s not going to end well. Brontë: My brother has no right to talk about Brewster that way—no right to threaten him. There’s a reason why Brewster can’t have friends—why he can’t care about too many people. Because when he cares about you, things start to happen. Impossible things that can’t be explained. I know, because they’re happening to me.